Easy to reach. A pleasure to deal with! 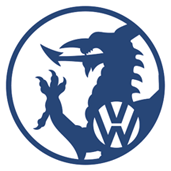 Welsh VW Specialists are here to help. To book your car in or chat through your needs, give us a call. Alternatively, please get in touch by email, or the contact form below. We offer a local collection and delivery service if you are unable to bring your car to us. This covers Cardiff, Sully, Barry, Dinas Powys, Penarth and Rhoose. If you're stuck and not in these areas give us a call. If we can help, we will!